In yesterday's post I showed you some artowrk I put together, but I didn't talk about my inspirations for it. Here are two things that directly contributed to that design. 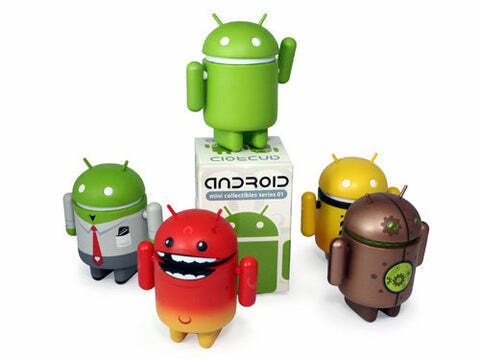 The first is Andrew Bell and his whimsical vinyl toys based on the Android logo. The second is this new Eeyore "Pook-A-Looz" toy from Disney. They have a whole line of these stylized interpretations of their famous characters. I really like these designs, even if they're from Disney.